While most of the state's high school baseball players have turned in their uniforms, put away their bats and gloves, and turned their sights to summer, that's not the case for Scappoose graduated seniors J.C. Gross and Jerad Toman. Gross, an infielder, and Toman, an outfielder, will both play for the North team in the 39th annual Oregon Class 4A All-Star Baseball Series, set for Saturday and Sunday at Bill Gray Stadium at Legion Field in Roseburg. The series features the top graduated seniors from Oregon's Class 4A high schools. A single nine-inning game is scheduled for 7 p.m. Saturday. A pair of seven-inning contests are set for Sunday, beginning at noon. During the high school regular season, the Indians were third in the Cowapa at 9-6, two games behind Astoria and Banks, and wound up with a 15-12 overall record, eventually finishing the year ranked 12th in the state and losing 5-4 to Estacada in the Play-In round. 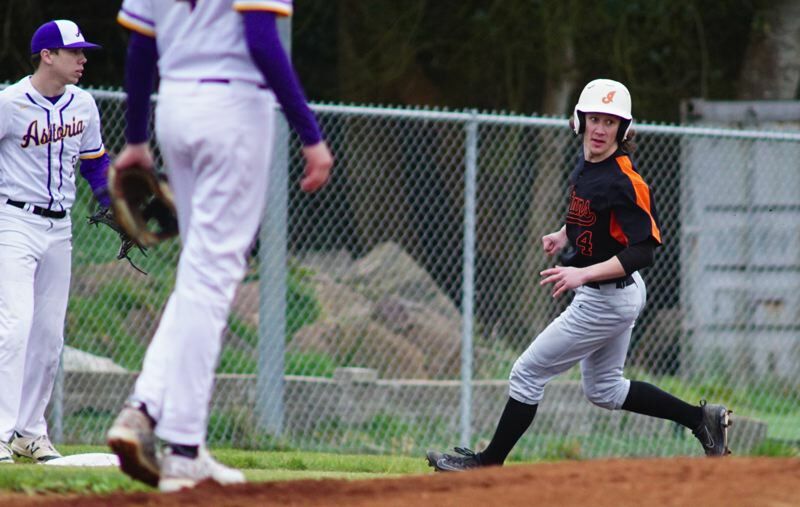 Toman, who will play football at Portland State next year, played every position for Scappoose this spring except first base and catcher, and used his exceptional speed to score 43 runs and steal 17 bases. Gross, meanwhile, had a .517 batting average, 49 hits, 36 RBIs, nine doubles, three triples and one home run, hitting safely in 25 of 26 games and ending the year with a 15-game hitting streak. CATCHER — Heath Pickhardt, Crook County. INFIELDERS — Trey Hageman, Astoria; JC Gross, Scappoose; Gunnar Partain, Banks; Andy Schmitz, North Marion. FIRST BASEMAN — Kye Blaser, Newport. OUTFIELDERS — Porter Agnew, Valley Catholic; Damian Alvarado, Gladstone; Trenton Luckini, Newport; Jerad Toman, Scappoose; Cameron Rodriguez, Madras. UTILITY — Jake Davidson, Cascade. PITCHERS — Kenan Conner, Philomath; Nolan Jackson, Philomath; Derek Lee, Gladstone; Tyler Lockey, Madras; Ben McCoy, Gladstone; Wyatt Riedel, Estacada. COACHES — Casey Webster, Gladstone; Randy Brack, North Marion. CATCHERS — Jaace Cross, Cottage Grove; Vincent DiMatteo, Hidden Valley; McCrea Hamilton, Mazama. INFIELDERS — Isaac Chamberlain, La Grande; Kyle Hadwick, Henley; Parker Patterson, South Umpqua; Brennan Watts, Phoenix. FIRST BASEMEN — Keegan Holly, Sweet Home; Levi Silbernagel, Junction City. OUTFIELDERS — Adam Hawker, Ontario; Jake Overstreet, Henley; Johnathan Warner, South Umpqua. UTILITY — JayCe Leonard, La Grande. PITCHERS — GT Blackman, La Grande; Cody Dubray, La Grande; Kolton Fisher, Hidden Valley; Trent Keeler, Junction City; Cole Lawson, Hidden Valley. COACHES — Parker McKinley, La Grande; Brad Horning, North Bend.